The final log off: Do you need a social media will? Disclaimer: This article is intended to provide advice only. Every legal matter is unique and you should consult with a legal professional in your area. Unfortunately a few months ago, I lost a friend to leukemia who was in her twenties. She was an active participant on social media networks and during a discussion with friends someone asked “What do are they going to do with her Facebook account?” It is a great question that many of us in this digital age are going to be faced with. In fact, creating a “social media will” is now one of the government’s official personal finance recommendations, listed on USA.gov. So ask yourself, what should happen to the content you have posted? Consider creating a statement of how you would like your online identity handled by appointing someone you trust as an online executor. The executor will be responsible for the maintenance and or closure of your email addresses, social media profiles and blogs after you are deceased. Consider these steps to assist you with write a social media will. Write down a list of all the websites where you have a profile, along with usernames and passwords. State how you would like your profiles to be handled. You may want to completely cancel or leave it up for friends and family to visit. Some sites allow users to create a memorial profile where others can view your profile but cannot post anything new. While my friend did not have a social media will her family chose to leave her profile up so that we could post photos and memories, and while I knew she was an awesome person now I can connect with the hundreds of people whose lives she touched and make new acquaintances. Socially Ahead, a strategic communications agency specializing in the creation of social /digital media strategies, online communications, training and web content production based in Washington, DC. Socially Ahead focuses on helping brands and individuals navigate social media and online space to build better connections. Thanks to the LinkedIn Gods, you can now select a target audience for updates shared on your LinkedIn Company Page. You can specify your target audience by company size, industry, job function, seniority, geography and whether they are employees of your company or not. Targeted Status Updates were launched to select LinkedIn customers and are now available to all Company Pages. Don’t forget to share this article with your network! Recently, 6.5 million user passwords for the business social network LinkedIn and 1.5 million user passwords from the online dating site eHarmony were published to the Internet. The passwords were published as hash values, which is an encrypted format. The release does not include user names or any other data. If you have an account on LinkedIn or eHarmony, please change these passwords. Also, change your passwords on any other accounts that use the same or similar passwords. Please do not utilize websites that purport to help you identify whether or not your password has been compromised. Visit the sites directly by typing the address into your web browser to reset the password. As a best practice, you should avoid using the same password for different accounts and services. Can your business afford a social media mistake? Before you think of assigning an intern to manage your corporate social media… think again! In general, most companies post news and articles related to their services and products. They also post events, photographs, tips and other information that aligns with their company’s direction. This information gathering takes time. One way to solve the posting bandwidth issue is to assign the social media updates to an intern. After all, interns are social-media savvy and inexpensive, right? However, if the employees posting to social media sites aren’t in the loop about the latest projects, releases, initiatives, or other organizational goals, they may find it difficult to know what to say. What they post may not align with your company’s mission. In other words, although it may seem logical to designate a young, social-media savvy employee to handle the social media updates, such an employee may not have the right information and direction to post in alignment with the company’s goals. Your corporate social media presence can help garner or lose clients. There have been numerous articles and case studies where social media faux pas have severely hurt businesses bottom line. How much supervision and coaching will this individual need to complete this task? Does this person have the communication skills and professionalism needed to represent your business globally? Does this person have the research capability to find relevant information to post on your corporate social media profiles? If you answered negatively to any of these questions then this is not the person to consider and you may be better suited to retain a professional strategist. While we understand that some organizations may not have the financial resources to outsource, we strongly suggest that you invest in training for the intern or young employee is implemented prior to them taking on this task. If your business has hired an intern to manage social media what has been your experience? Was it positive or negative? Please share. We started the week off at AARP Foundation, giving a talk regarding LinkedIn and its benefits. We thought it would be beneficial to share some of the insights provided to our readers. LinkedIn is the largest social networking site for professional networking. LinkedIn has millions of professionals who are exchanging information daily. LinkedIn is different from other social media sites like Facebook and Twitter, which are basically used for personal reasons. LinkedIn gives you the ability to build connections with professionals who are in similar fields or professions. You could reconnect with college classmates, former colleagues or new clients. LinkedIn can be used for professional networking as well as for business networking. LinkedIn offers a separate page for companies and businesses. Thousands of companies have registered with detailed information about their employees. 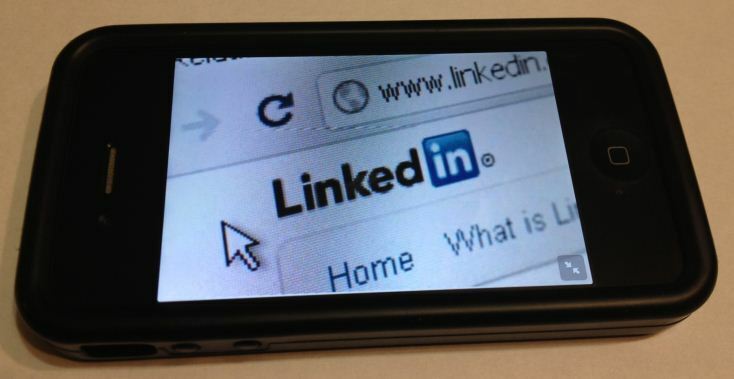 Here are some ways a professional and company can use LinkedIn for achieving success. LinkedIn gives the best possible option to professionals for exchanging the business information. In LinkedIn you can find people from CEO’s of a Fortune 500 companies or even recruiters to find your next employer. By using LinkedIn you can find experienced professionals and experts related to the field of your work. You can ask for suggestions or advice related to your career or work. If you are an expert, you can also contribute your knowledge, to others by joining groups or answering questions in the ‘Question & Answer’ area. Moreover LinkedIn also offers separate section known as LinkedIn Answers. Suppose you have an issue with a project, you can post your question and can get the answers from industry experts. Group Discussions– There are many groups related to your industry, you can join these groups and can participate or start discussion on any topic related to your fields. Comments and thoughts of various experts will help you in enhancing your knowledge. These are some of the many features and applications, professionals can utilize in LinkedIn. Recruiting– Businesses can find potential candidates with minimal or no cost, by posting the jobs in LinkedIn so that users, who are seeking employment, can apply. Company Profile- Companies can register a profile and provide information such as number of employees, company achievements, locations and etc. 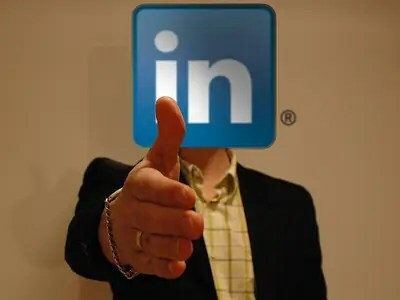 Lead Generation –Working for leads can be time consuming, but LinkedIn gives you a great resource by working with your professional connections. With the information we’ve provided it’s obvious that by investing time and effort, LinkedIn can help professionals and businesses to grow careers and generate profit. How are some ways in which you have used LinkedIn for professional or business gains? Did you know that there are over 2 billion sent out each month? Curious how you can get your small business tweets to stand out? Here are eight effective tips that can be implemented into your social media campaign today! Search through your competitors’ followers and follow them if you think they could offer valuable insight or become leads. Add Tweet variety with news, photos, videos etc. Share projects or community service with your followers. Don’t just promote yourself –share information about your industry and retweet others relevant content. Reply to your @Mentions, especially if your followers ask questions relevant to your product or service offerings. If you have a sale or promotion, tweet about it! It generates free buzz! Follow Friday #FF – leverage it every week. You’ll be happy you did. Is your reputation on the line because of social media? Benjamin Franklin once said ” It takes many good deeds to build a good reputation, and only one bad one to lose it. ” Social media has become a part of our daily lives, in fact for some it has been their only form of communication/interaction. I truly love connecting with individuals on Facebook, Twitter and LinkedIn for personal and business reasons yet I cannot express enough to my cohorts that the social in social media is misleading. Below are two examples of personal social media accounts that cost the individual their jobs! 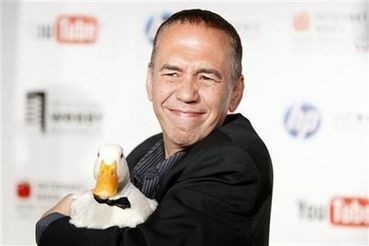 Comedian Gilbert Gottfried was fired by employer Aflac, for whom he was a spokesperson, for making at least two jokes about the recent tragic events in Japan. Gottfried, whose voice served as that of the Aflac duck, isn’t known for either tact or good timing; he famously made a 9/11 joke just three weeks after 9/11 happened. And the comedian’s Twitter stream is replete with jokes that some might describe as tasteless or insensitive. Former medical technician Dawnemarie Souza was fired on December 1, 2010 for using vulgar language to criticize her boss on Facebook after he denied one of her requests. Several co-workers joined in on the thread, making similarly negative comments about the supervisor. Souza made these comments from her private account on her own time and on her own computer. Her case received national attention regarding employers social media policies. Her case was eventually settled with her former employer.